After dropping the boys at school, I headed home for my Monday morning call. Around 10 I threw a rifle and some gear into the truck and headed for the 1000 yard range in Buena Vista. Once there it took me around 10 rounds to make sure I was good to go out to 500 yards or 5 football fields. I then loaded up and headed home working from my phone on the way. Around 4 Lori texted that she was on the way to school as the Athletic Trainer from the hospital thought Jaggers arm might be broken from Saturday. 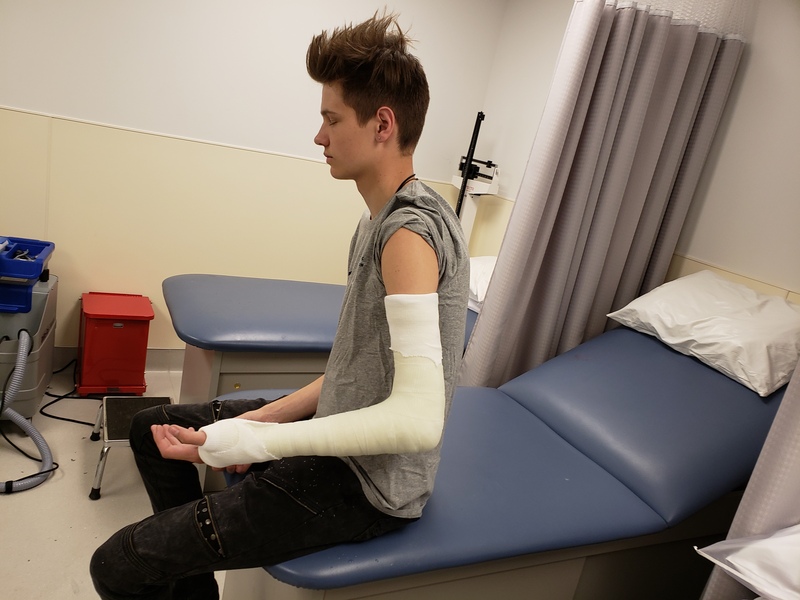 Sure enough an hour later when I arrived, he was in the casting room getting a full cast from his wrist to his upper arm. Looks like he has something wrong with some tendons where he can’t even turn his forearm meaning the whole arm cast. He’ll be in this for 2 weeks, then they’ll check him and then in another 2 weeks, check again and then 2 more for a total of six weeks, ugh. At least we have power this morning, ha. So soccer is over and we’re hoping he heals up by basketball. He’s on a “eat everything he sees” diet trying to put on some pounds. Dr. Viola said he could grow another inch or two before he’s done but we’d have to wait and see. Lori has clinic, I have a bunch of calls and that’s it, another day. Fall is coming, think I’ll make chili tonight. Take care and God Bless.